I want to say this upfront- I do not tweet. I have to draw the line somewhere. I admit I do read a friend’s tweets. Sometimes I can’t make out the tweeted idea at all- it looks more like symbols and punctuation than intelligible information. I know this tweet refers to software design and testing. Most of us have some intention of neglect for laundry and window washing. I am fine with that. The intention we set for our horses is another thing. Horses are so intuitive, they can fall prey to all sorts of human hypochondria. Most of us have had the experience of our horse broadcasting to the world our innermost insecurity; horses are just incapable of lying, or even holding their tongue. A small bit of mental untidiness on the human side and all of a sudden we can have a runaway (metaphorically or literally). My antonym finder says the opposite of neglect is to attend to, or to take to heart. I like that; I believe positive intention is a serious training aid. Rather than languishing in some place of nebulous neglect, we can hold an intention of mending and improving. It is easy to take small, basic steps-like tuning up ground manners or making transitions more obedient. Intention becomes habit. One step at a time and gradually we find ourselves in intentional, positive relationships with happy, balanced horses. Hooray, success! When we hold a standard of doing our best- being generous with opportunity and praise- our horses will flourish. ← Life is Good, Especially Compared to the Alternative! I love it when software, horses and donkeys all come together. 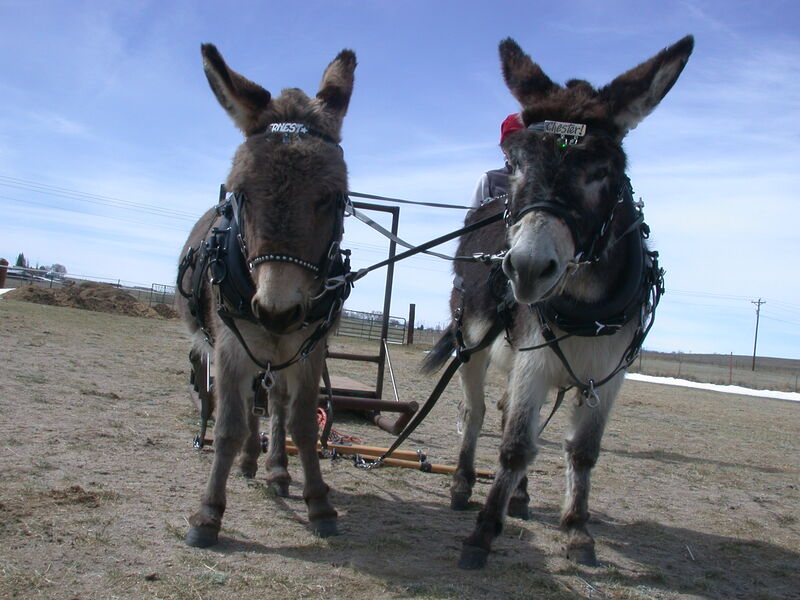 At the writing about testing conference I attended a couple weeks ago, I came up with the term “donkey energy”, how donkeys work steadily and steadfastly, enjoying their work. So I think intention kind of goes both ways between species! Hmmm love that “When you ignore things that are broken you set an intention of neglect” The world could benefit seeing this quote daily! So profound! I shall make a sign of that……. I agree with you……… “I believe positive intention is a serious training aid” = faithful trusty donkey eager to please their humans! Those two adorable handsome buddies above have sure been tended to with serious loving hearts! Awesome! Priceless!